Welcome to another episode of The 864 Podcast. 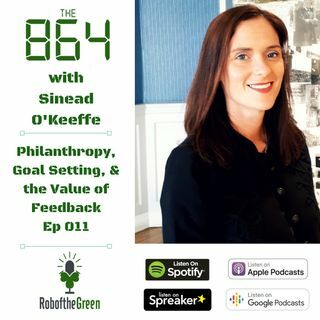 In this episode, I talk with Partnerships & Philanthropy Manager for Enable Ireland, Sinead O'Keeffe. Sinead talks about her career in hospitality, great learnings from this area. She wasn’t 100% content in this space after coming home to Ireland in 2009 after working in the US for a number of years. She had a desire to work in an area where she could give back. That started out her journey working for non-profits and the charity ... Más informaciones space. Her current role with Enable Ireland really connects with her values, beliefs, and sense of purpose. We talk about her work in this role, how she builds relationships, develops strategy, goal setting and implementing, influencing skills, selling and other core competencies that she uses on a daily basis to be successful in the role. Sinead also talks about dealing with setbacks when funding doesn’t come her way. Feedback is key and ensuring it’s taken onboard and used to her advantage. Thanks for listening! Please do subscribe to the show as we have some really great new episodes upcoming that you will enjoy and take some tips from to help you get that little bit better.